IF YOU NEED A DOCTOR MAKE AN APPOINTMENT NOW! Freeman Endocrinology provides total healthcare management for patients who suffer from illnesses associated with the endocrine system. We see our patients as individuals who are not just undergoing treatment, but as people who are willing and able to focus on lifestyle changes that can favorably impact their health. Our providers use a team-based approach focused on achieving the best outcome for each patient in terms of their overall health and well-being. 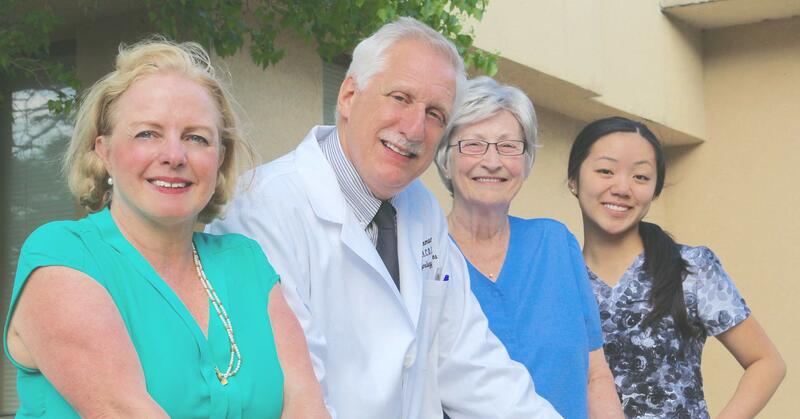 Our approach is highly individualized and tailored to the needs of each patient. We know that long term outcomes can be shaped by changes in lifestyle and appropriate treatment, and we want to help our patients on that journey. To accomplish this, we partner with our patients to provide education and preventive care to achieve long term success. You’ll find that our practice is unique because we work along with each patient to achieve the best outcome. Patients in our practice learn as much as they can about the steps they can take to manage their conditions and they work with our team to make the best choices for their individual circumstances. Take a tour of our website to learn more about our practice and Dr. Jeffrey Freeman. Check out our Facebook page for current information that you’ll find useful. You can also follow and engage with us on social media by clicking the social media icons on this page.